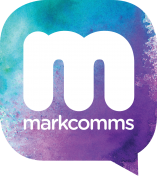 MarkComms – Beautiful Responsive Websites + Content Marketing – Let us bring your online presence to life! Beautiful Responsive Websites + Content Marketing – Let us bring your online presence to life! MarkComms is a marketing agency based in the Illawarra. Our team of marketing professionals are energetic, engaging and enthusiastic about helping local businesses reach their full potential. We work with small businesses to increase their exposure, develop their brand image, effectively communicate their competitive position, and ultimately improve their bottom line. No matter what industry, MarkComms will partner with your business and provide real solutions to make your business dreams come true.